Create lovely projects with these adorable Green Frog Buttons. 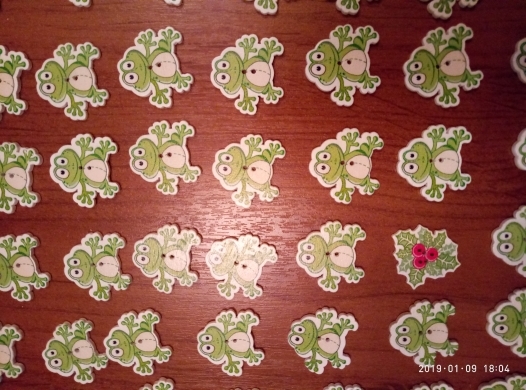 You get a pack of 50 wooden 2-hole Green Frog Buttons. There were 54 buttons in total. Apparently 4 as a gift, and one differs-a nice bonus). They looked just like the picture. Very pleased and perfect for my projects.